Also called the Changi International Airport, the Singapore International Airport has been bagging the World’s Best Airport award for the past six consecutive years for so many reasons. For one, there are so many attractions at the airport itself that are designed to make your long wait bearable so you probably would not even want to leave. 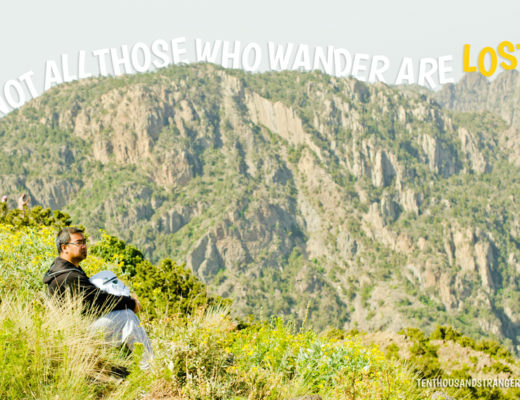 Lizzie of Wanderlust & Life is an Australian living in the United Kingdom. Together with her husband, Dave, they frequent Singapore as a layover destination to break up the trips between Australia and the UK. 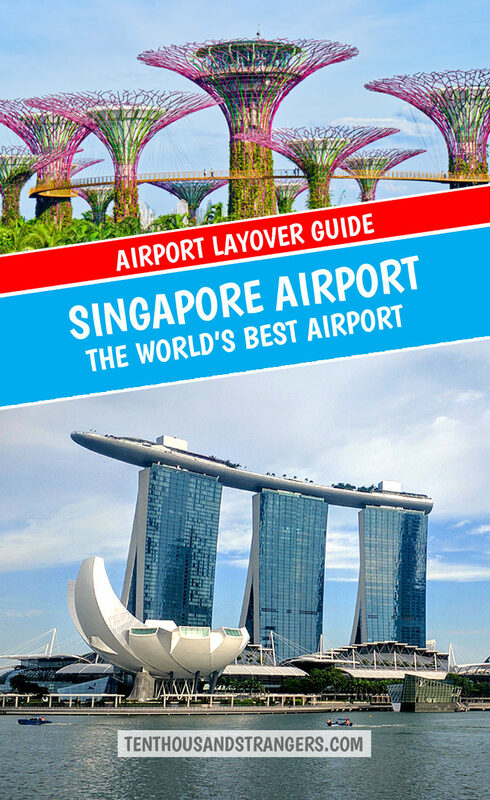 She wrote for us a comprehensive layover guide to Singapore as part of our Airport Layover Series. The capital of Singapore is Singapore. It is both a city and a country; one of the few remaining city-states in the world. The easiest and the most economical way to get around is via the Mass Rapid Transit (MRT). It is an underground train network that services most of Singapore’s main attractions. Passport holders from countries other than those listed as Assessment Level I and II countries or regions are not required to acquire visa to enter Singapore up to a travel period of 30 days. Yellow fever vaccination is required for all foreign nationals and Singapore Citizens, aged one and above, who have been in or passed through any country at risk of yellow fever in the six days before arriving in Singapore. Singapore is by far one of the best cities to visit during a layover. For starters, it is small, which makes it easy to get around in a short space of time. 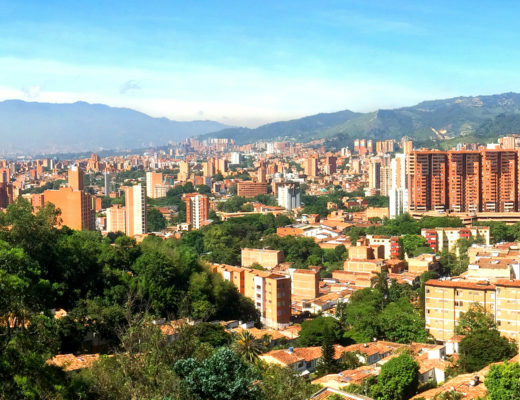 It is also incredibly clean and one of the safest cities in the world. 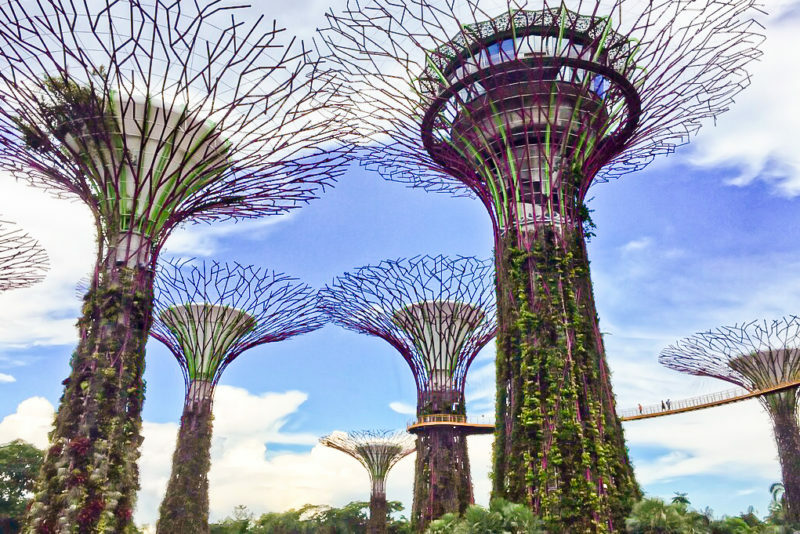 If you have 24-48 hours to spare in Singapore, then this is the guide for you. When you arrive in Singapore you will most likely land at Changi Airport. If you are planning on spending less than 90 days in Singapore, you do not need a visa. 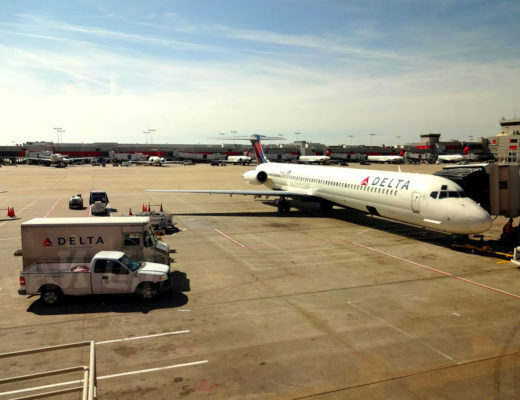 The airport itself is not only one of the world’s busiest but has often been praised as one of the best in the world. In the airport alone, you will find a butterfly garden, a sunflower garden, and a giant slide. If you can tear yourself away from the airport long enough though, the rewards awaiting you in the city will be worth it. 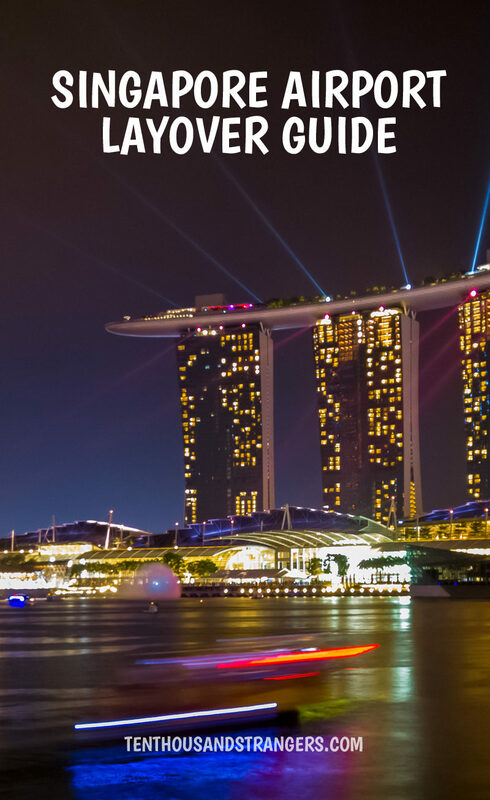 There are a few ways to get from Changi Airport to downtown Singapore. The cheapest way is to get on the MRT (Mass Rapid Transit). This speedy underground train service will take you right into the heart of Singapore in about 30 minutes. 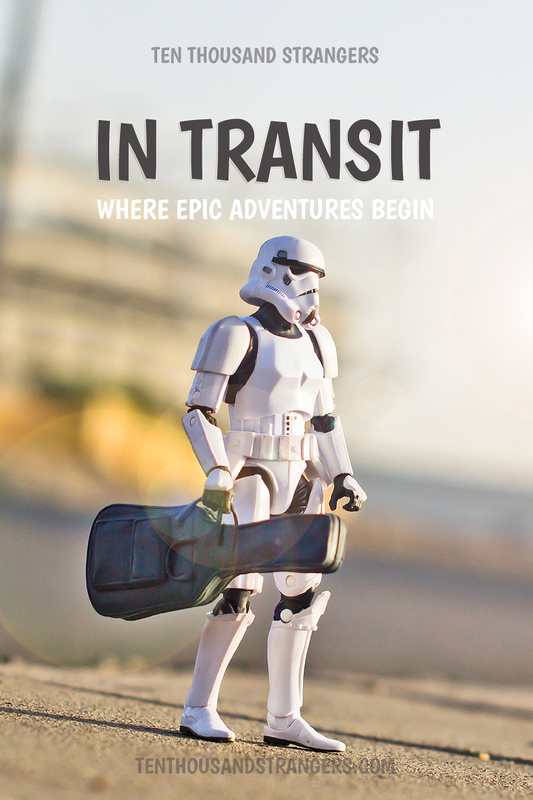 If you are feeling slightly jetlagged and disheveled like so many of us do after long-haul flights then you can book a shuttle bus. The good thing about this is it takes you straight to the door of your hotel. It is probably best to give yourself about 30 minutes to get to your hotel as this is dependent on traffic. If you are only in Singapore for a short time then you want to make sure you stay somewhere central, with easy transport links. For this reason, we recommend staying around Chinatown. Our hotel was directly opposite an MRT station which made getting around really easy. 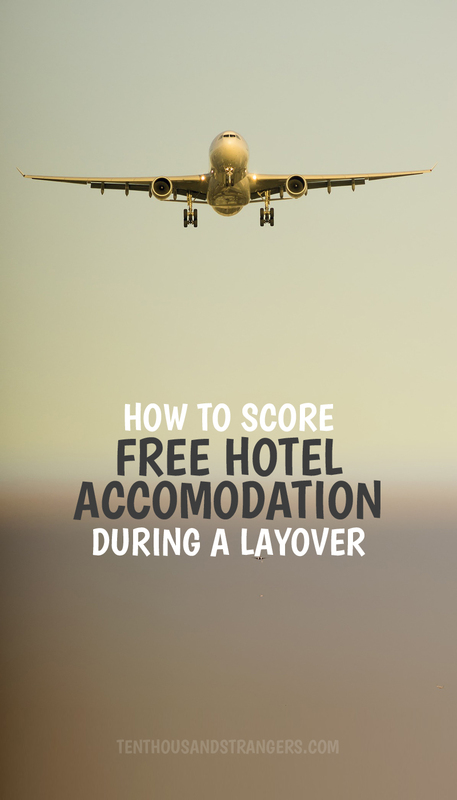 There are also a lot of restaurants and bars in this area which again is important when choosing your accommodation on a layover. The easiest way to get around Singapore is via the MRT or Mass Rapid Transit. It is an underground train network that services most of Singapore’s main attractions. The best thing to do is to purchase a Singapore Tourist Pass which is a card that allows you unlimited travel for one, two, or three days. Starting at $10 for one day, the Tourist Pass is a great value and will ensure your time in Singapore goes smoothly. There are select stations where these can be purchased from and Changi Airport is one, as is Chinatown. Because Singapore is such a small country, this gives you the opportunity to see quite a bit on a short trip. 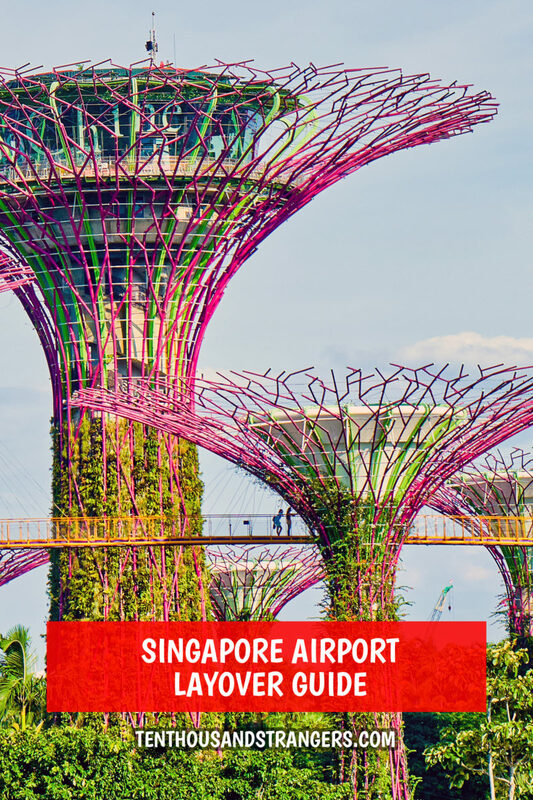 These are some of the best sights to see if you are only in Singapore for a layover. Chinatown is an absolute must on any trip to Singapore. For starters, it is the perfect place to nab a bargain. As you walk around the maze of narrow streets, the liveliness hits you. From people trying to sell you cheap suits to shop owners trying to lure you in to purchase those all-important souvenirs. 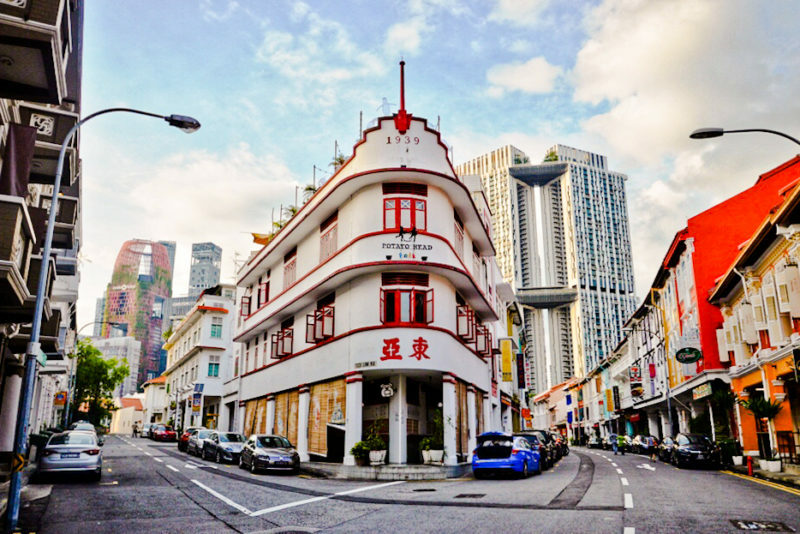 Some of the unmissable sights in Chinatown are Keong Saik Raod. This incredibly photogenic area has gone from a one-time hang out for criminals and call girls, to a colorful street with traditional architecture. In fact, it is included in our article on the most photogenic places in Singapore which you can read here. There are also a number of temples in Chinatown that are worth a visit. From the Buddha Tooth Relic Temple which is the perfect place to go for some inner peace, as well as the Sri Mariamman Temple. The Sri Mariamman Temple is one of the oldest Hindu temples in Singapore, and throughout history was an important place to go for the Hindu population, particularly in colonial Singapore. Directions: You can easily get to Chinatown by MRT and either get off at Outram Park or Chinatown. Both stations are only a short walk to the sights mentioned above. Suggested Duration: You will probably want to spend a few hours here, exploring the streets and shops. 1-2 hours is probably sufficient although maybe a little longer if you also want lunch. One of the most futuristic and beautiful parts of Singapore has to be Gardens by the Bay. Designed to promote more green spaces in the city, the gardens span around 25 acres. The Gardens are free to access and one of the highlights includes a visit to the Supertree Grove. 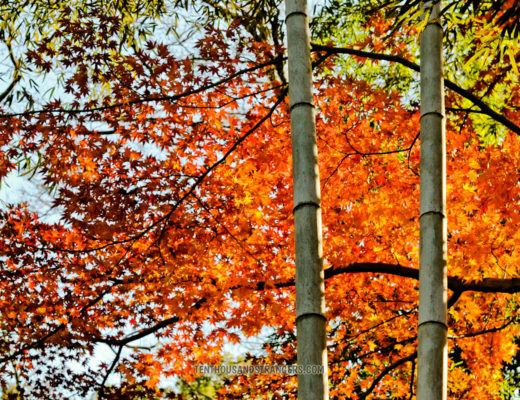 Here you will find some robust steel framed trees that wouldn’t look completely out of place in the movie Avatar. If you have the time and are brave enough, walk across the Skywalk, a suspended path between two of the bigger trees, as this is a great photo opp. Directions: If you are getting the MRT then you will need to get off at Bayfront station. If you take exit B and follow the underground linkway you will come to the Dragonfly or Meadow Bridge which you will need to cross to get into Gardens by the Bay. Suggested Duration: It can get pretty hot walking around the park so 1-2 hours is sufficient. 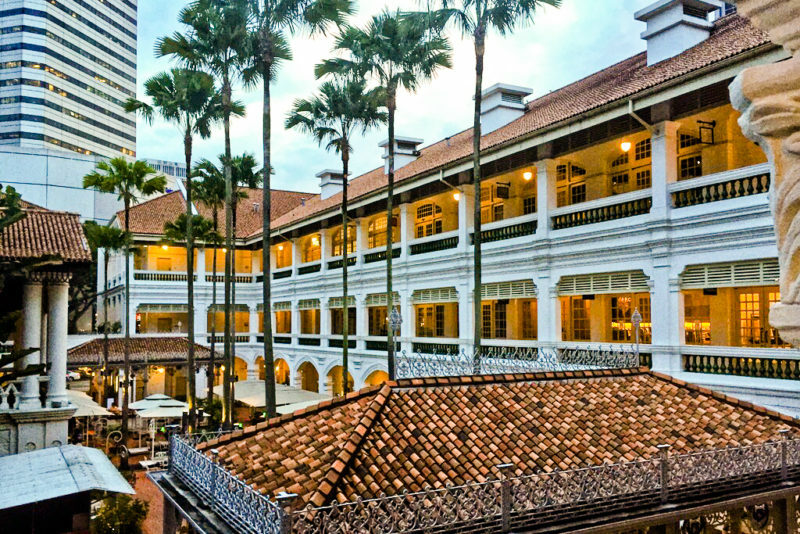 This colonial-styled hotel is one of the most beautiful in Singapore and is also a National Monument. This is also where the famous Singapore Sling was invented, and despite it being a super touristy thing to do, it is a lot of fun to sit and sip the world-famous cocktail. Directions: There are a few MRT stations that you can get off and easily walk to Raffles Hotel, including Esplanade, City Hall or Bras Basah. 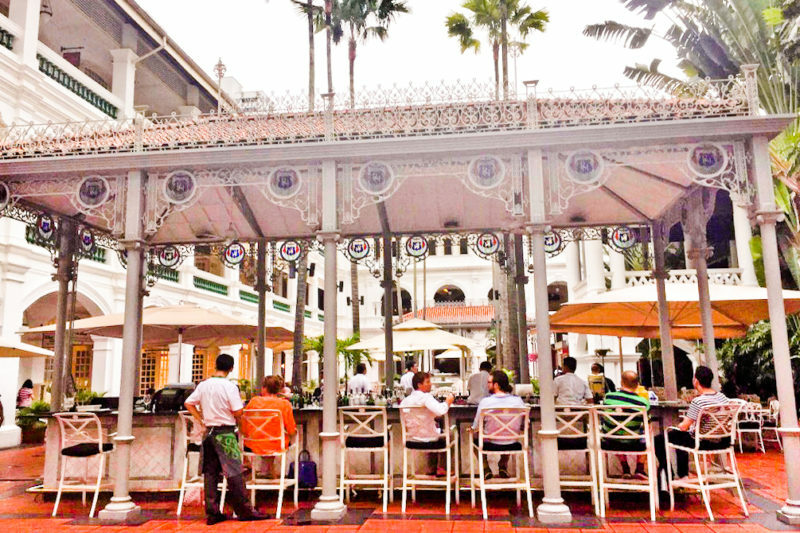 Raffles Hotel is then only a short walk from any of these stops. Suggested Duration: You can be in an out in less than 10 minutes, but we do recommend sitting down and ordering a Singapore Sling, which will bring you up to 30 minutes. There are so many amazing places to eat in Singapore but if you want to go authentic then make sure you check out a Hawker Market. There are a few that you can visit but one of the best is located in Chinatown. 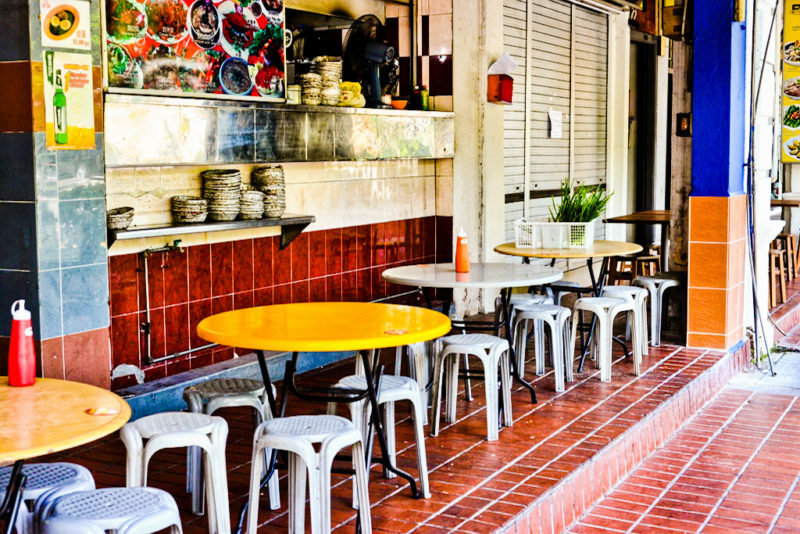 The Hawker center is an open-air market where you can purchase a variety of cheap, yet authentic Asian food. If you are wanting to spend a little more money and have a little more time then you have to try Singaporean Chilli Crab. It might be a little messy to eat, but it is so good. The dish consists of stir-fried crab and crab claws in a sweet and savory sauce. It is best served with a side of steamed or deep-fried buns. One of the best places to eat this delicacy is at Jumbo Seafood. It is a chain but the food is good, and particularly if you visit the restaurant at Riverside Point, you can eat and enjoy the views of the river. In terms of drinking, if you are staying in Singapore overnight, the popular An Siang Road is a great place to go. There are a number of bars there and the atmosphere is quite lively. If you are after drinks with a view though, then you should try 1-Altitude, a bar located on the 63rd floor in one of Singapore’s skyscrapers. Alternatively, there is the equally beautiful Level 33 which, as the name suggests, sits on the 33rd floor of a building in the financial district. From here you can sip wine or craft beer while looking down on the Gardens by the Bay. Lizzie and Dave are a couple of travel bloggers from Australia and Ireland who write over at www.wanderlustandlife.com. Their stories focus on couples travel as well as expat life. 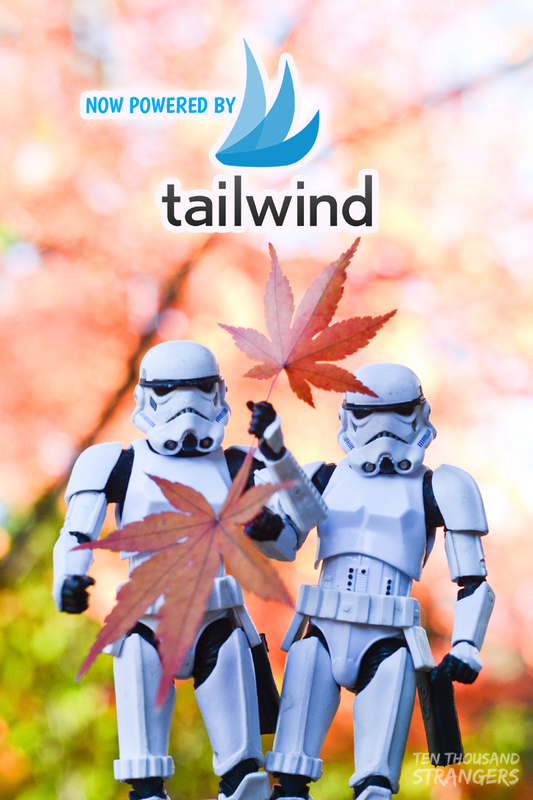 Follow them around the world via Facebook and Instagram. 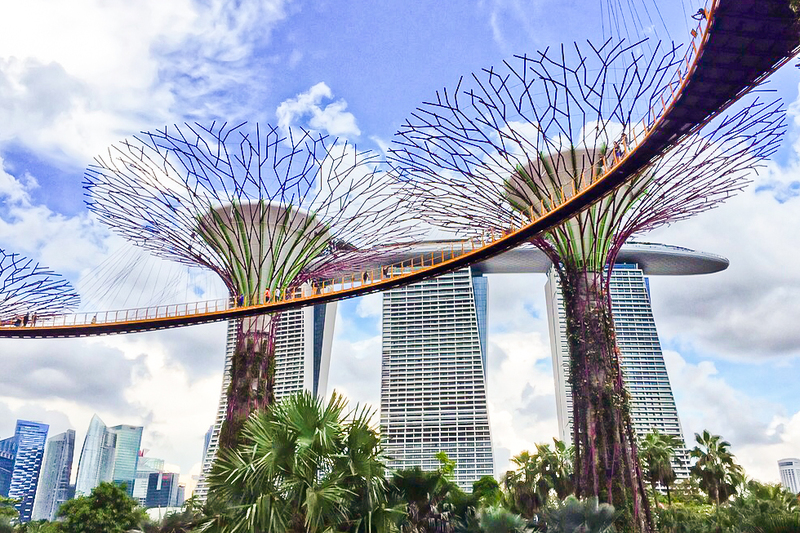 Transit passengers having at least 6 hours before their connecting flights can join the Free Singapore Tour, a two and a half hours guided tour to some of Singapore’s popular attractions. 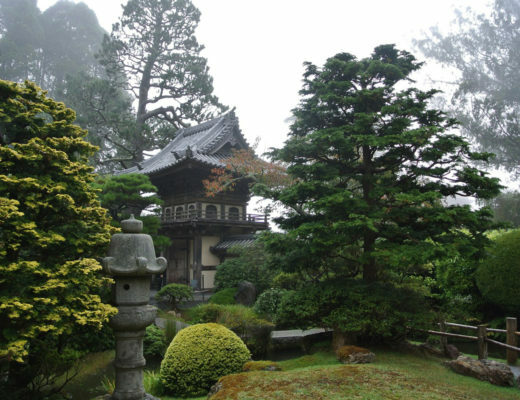 But if you have a whole day or two to spare, venture out of the airport and have a deeper appreciation of the city’s heritage, food, and attractions.